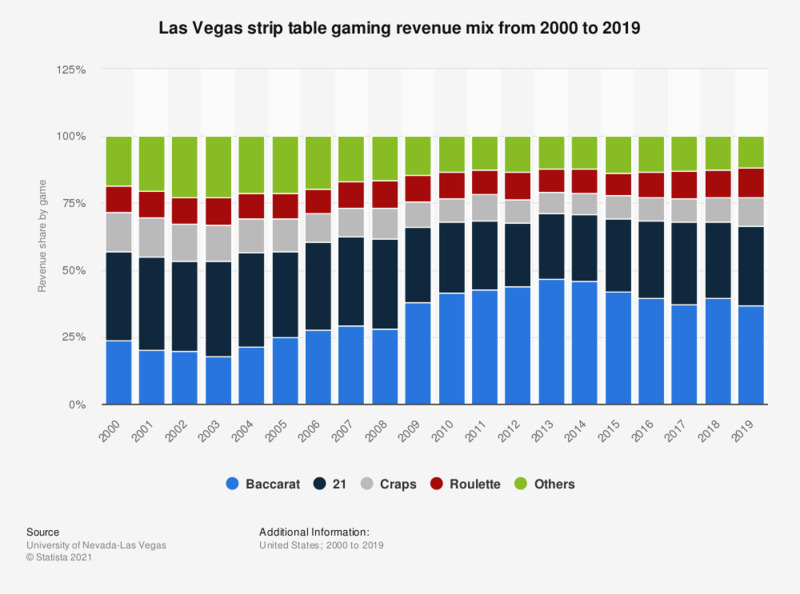 This statistic shows the revenue share by game in Las Vegas strip table games from 2000 to 2017. Revenue is defined as the total reported win for the game in question; revenue share is that game's contribution to total table game revenue for the period. In 2017, baccarat accounted for 37.36 percent of the Las Vegas strip table games revenue.